Sahara Jane is a world fusion musician. She is a songwriter and a singer, she also plays guitar and a rare Indian string instrument called sarangi. Her style blends North American folk with Indian and Celtic music. Her recent tours included performances in India, China, Europe and Canada. The last few years have been very busy for Sahara Jane. In 2012 she recorded her first solo album ‘Lonesome Sky’, which she toured across Canada with bassist Jamie Loughead. In 2013 she founded Blue Lotus Trio with multi-instrumentalists, Ken Shorley and Heidi Kalyani. This group is a world music ensemble inspired by Indian raga, Sufi poetry and Turkish rhythms. Blue Lotus Trio has since performed sold out shows in Nova Scotia, hosted workshops on Indian music and hand drumming, and is currently planning a tour in British Columbia in April 2015 and a new CD to be released in the summer. In 2014, Sahara Jane formed a band with her sisters, Ariana and Kamila, and her brother in Law, Andy Flinn called Ask Your Sister. With Sahara on guitar, Ariana on saxophone, Kamila on keys, the three sisters’ close vocal harmonies and the rhythm and bass of Andy, the band toured in India and China before returning home to Nova scotia to record their new album, ‘Invincible’. Since last summer, ‘Invincible’ has been getting regular airplay on CBC radio and the sisters are looking forward to festivals in the coming summer season. Sahara Jane grew up in a culturally diverse and musical family in Nova Scotia, Canada. She began her music career as a singer songwriter, touring original music with her sister Kamila. The two were heavily influenced by the celtic music and folk songs of Canada’s East Coast and they became known in the festival circuit for their intricate harmonies. 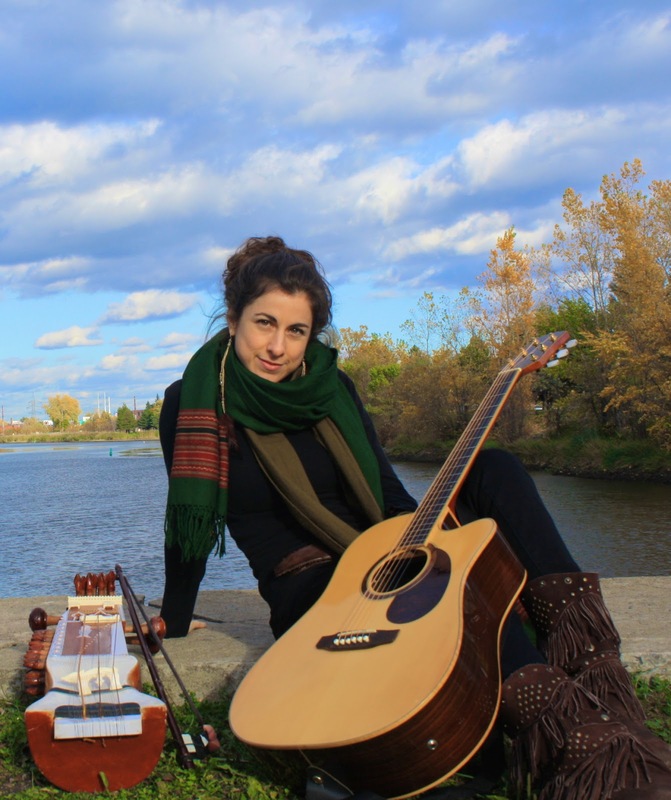 After writing and producing two full length albums together and touring Canada’s folk venues and festivals, Sahara went on to study fine arts and Indian music at York University in Toronto. She has since followed her dream of studying sarangi in Mumbai, India. She had the great fortune to study under the legendary late Ustad Sultan Khan, and continues in depth study in Amsterdam with her teacher and mentor, Dr. Joep Bor (Voice of the Sarangi, and The Raga Guide), and in India with sarangi maestro Dhruba Ghosh. She has also taught classes and courses on Indian music at Ithaca college in New York, and at Acadia University in Nova Scotia. Blue Lotus Trio and in May she will be joined by guitarist/banjo player Daunt Lee of Newfoundland for a cross Canada tour. "We have known Sahara Jane for the last 10 years and have been involved in a friendship that combines music and family. We have toured together all over the world and can say that she is one of the best and most beautiful musicians that we have had the honor of working with along the way! Sahara has helped us to cross over from Latin to Country music boundaries, enriching ourselves and our show with her sweet presence and incredible talents”.